You can use SQL commands in Déjà Vu X3 to add a client attribute to terms that don't have one, in a Termbase. The SQL commands shown in this article can be used to add a Client to any term in the Termbase that does not already have one. 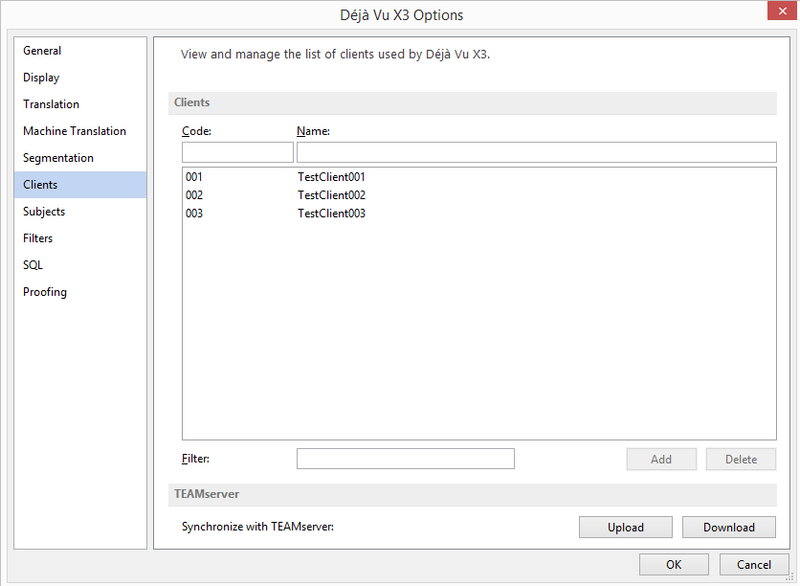 Déjà Vu X3 does not store the name of a client in a Termbase; instead, it stores the client's code number. When you open a Termbase in Déjà Vu X3, it looks this number up to find the name of the client, and then displays the name. Therefore, when you modify a Termbase using SQL, you must use the client's code number in the commands you use, rather than the client's name. There you can see the list of clients that Déjà Vu X3 uses, showing their names and the client number for reach. Find the client you want to add, and take note of its number. 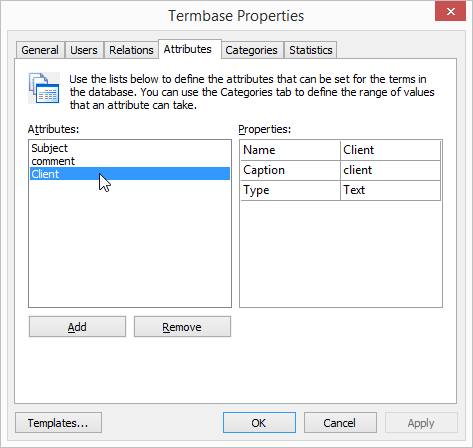 If you are adding a client to terms in a termbase that does not have any client information at all, it is likely that the Termbase does not a definition for the Client attribute. If the Termbase does not have the Client attribute defined, you will not be able to add client information for individual terms effectively. Open the Termbase in Déjà Vu X3. In the Home section of the Ribbon, click Properties. The Termbase Properties dialog appears. Select the Attributes tab. Here you can see if the Client attribute is defined. The image above shows a properly defined Client attribute. If you find that, you can close the Termbase Properties dialog. If the Client attribute is not defined, you can add a new attribute, using the same definitions shown in the image above. To learn how to add a new attribute to a termbase, read this article. To see how to use the SQL commands to make changes in a Termbase, read this article. The 'CodeOfNewClient' should be the client number of the client you wish to add. The apostrophes (') have to be vertical, rather than the curly ones that Word and other word processors use; otherwise you may get a syntax error.